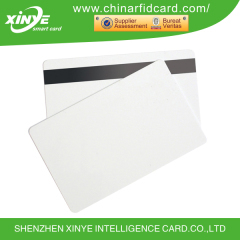 Xinye is a company always committed to smart card technology and development, production and sales of product, specializing in producing several series of main products like,contactless IC card, contact IC card, RFID label, RFID card inlay, key fobs, epoxy tags, etc, Xinye has provided millions of RFID card product for the users in China and oversea. 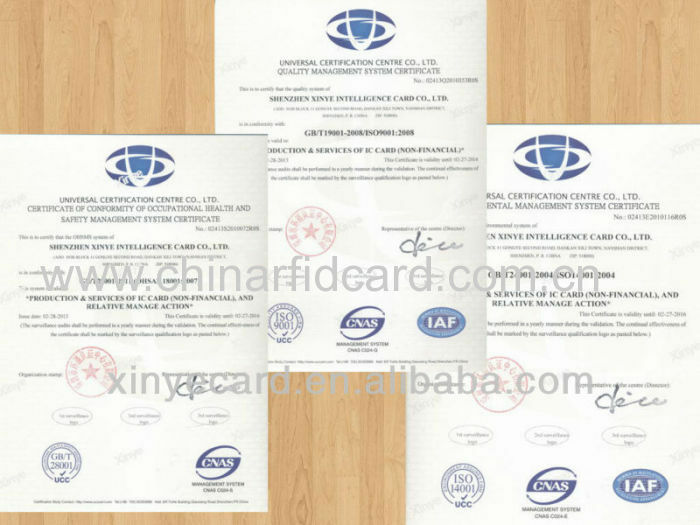 Competitive Advantage: it has passed the ISO9001 quality management system certification, ISO14001 environmental management system certification, OHSAS18001 occupational health and safety management system certification; In 2012, it smoothly passed the Contactless CPU card and COS testing and authorization by Ministry of Housing and Urban and obtained suppliers certification and product certification by the Bureau Veritas Group. over 10 years experience in this field. Our Vision : to become the world's leading smart card manufacturer. Our Style: Devote every effort. 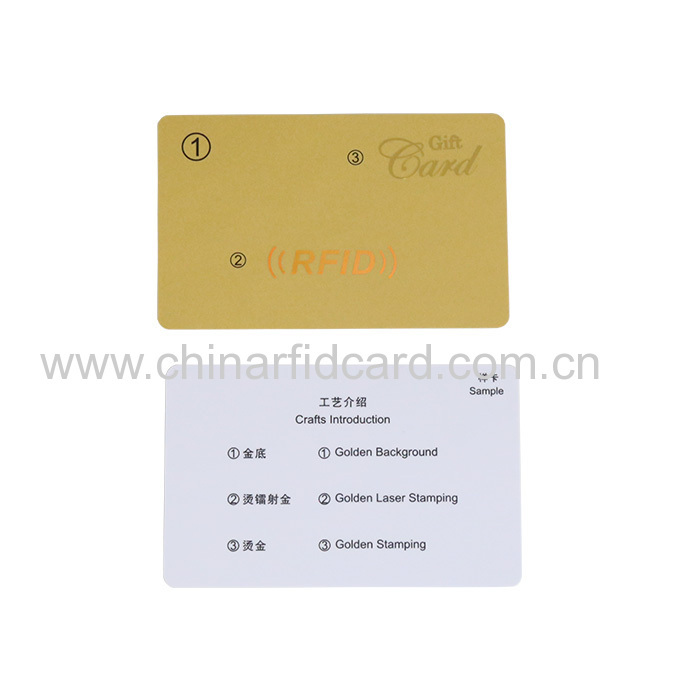 1.Generally 200 pcs card in white box, 20 boxes in carton. 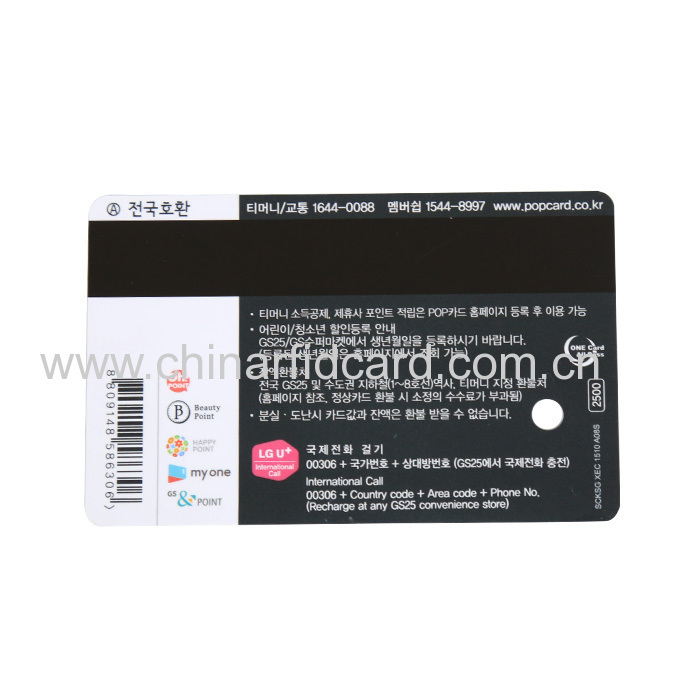 3-5 days for 100 ~ 10,000 pcs. 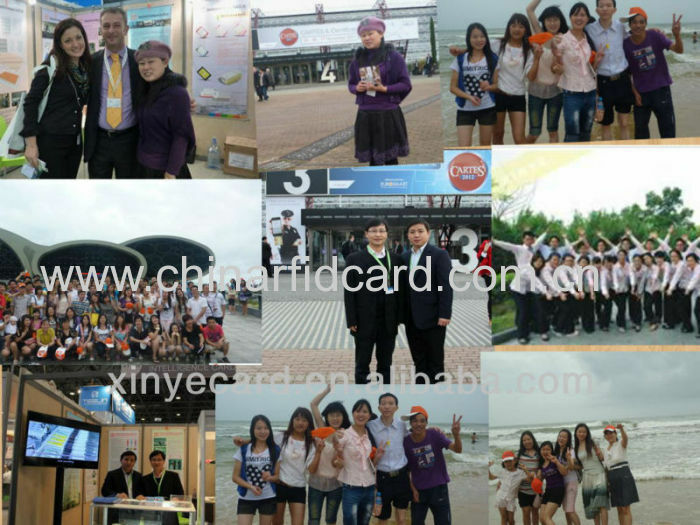 5-7 days for 10,000 ~ 100,000 pcs. 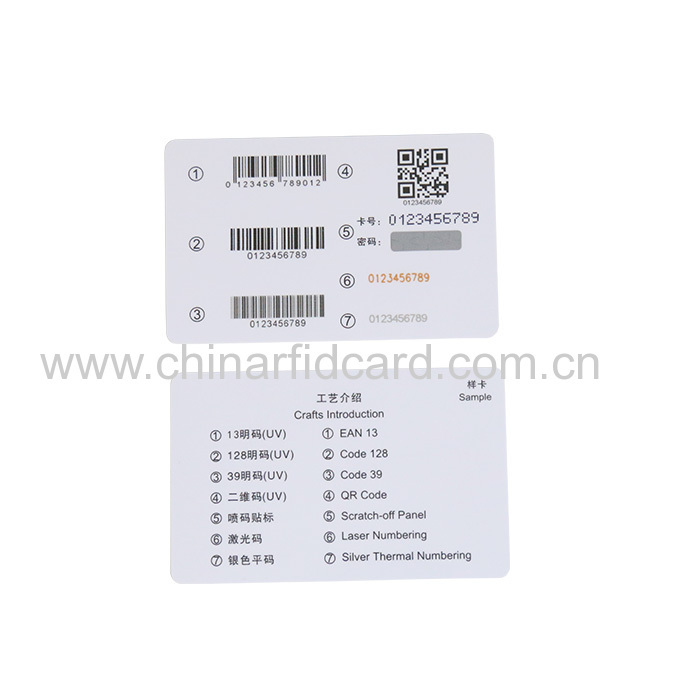 8-12 days for 100,000 ~ 500,000 pcs. 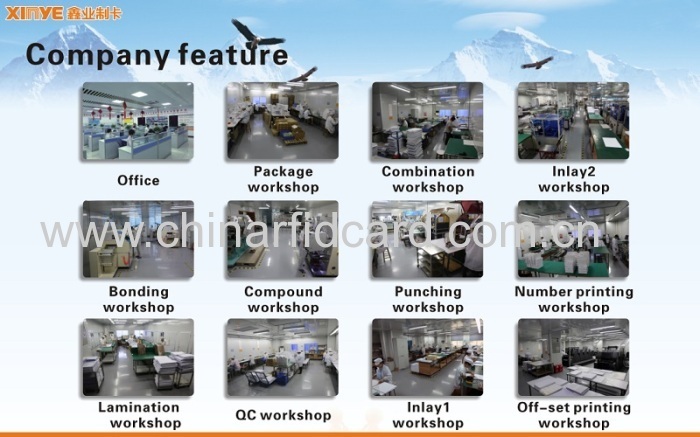 EMS,UPS,DHL,Fedex and TNT express shipping usually take5-10 working days, but it also depend on the country delivered.In rare cases,the strict custom clearances will make the delivery time a bit longer,please be patient.